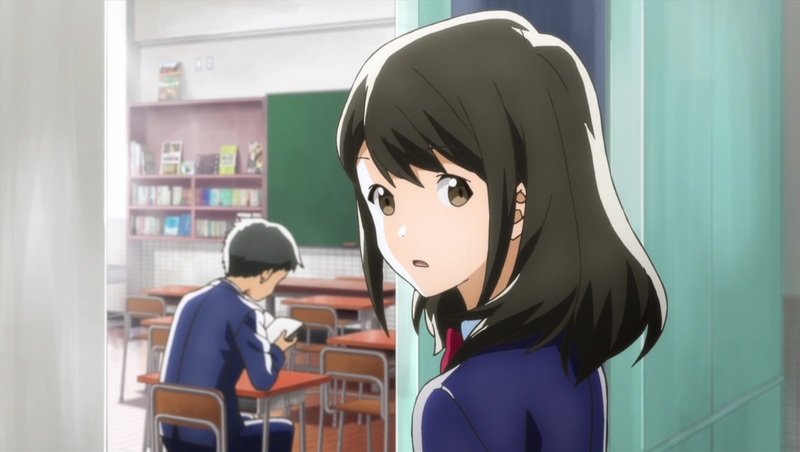 Kotarou Azumi and Akane Mizuno are classmates for the first time, they notice each other but never really talk. Akane is sporty and seems like she suffers from anxiety. She has this little doll that she focuses on and squeezes when things feel to much. I loved how she seemed so real in that aspect. Getting anxious over talking to people or doing things happens a lot. Kotarou seems to be quiet and bookish. He usually has a couple of friends around him but he doesn’t really talk. I loved how each one notices the other but really don’t talk at all. Until one night when both of their families go out to dinner and just happens to be the same restaurant. Akane seems really embarrassed on how her family acts when they realize that she know the boy at the other table, Kotarou. When they leave, she asks Kotarou to forget that night happened, how she seemed embarrassed by her family. He makes note of that, It makes you wonder why was she so embaressed by them? They eventually talk when Akane finds out that Kotarou is part of the group in charge of the equipment for the sports festival, using LINE to chat. This episode was a great start for the series. I wished there had been a little more details in it to set up the series. What was given was just enough to get you interested in seeing where everything goes. We were slightly introduced to her friend Chinatsu and got a glimpse of Takumi at track practice, hopefully we will get more in the next episode to see how this story will unfold.